At the end of 2014, the Dutch Ministry of Culture (OCW) announced a new Art and Culture public fund, The Art of Impact, designating seven million euro to support art projects that have a distinct impact on society. With this programme, the policy of austerity initiated by the minister of culture (Halbe Zijlstra) entered a new phase. Ideologically, it shifts away from discrediting the arts as a left-wing hobby towards rendering the arts as a tool of intervention and engagement with society. What does it mean to attribute to the artists, designers and art institutions the social, economical and political responsibility of changing and improving the world? 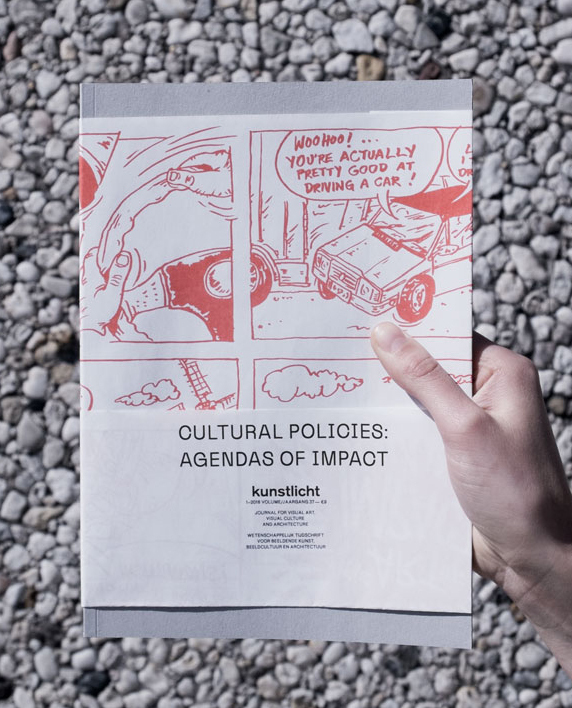 This issue delves into the historical grounds and present implications of arts and culture funding policies and programmes in the Netherlands and beyond.